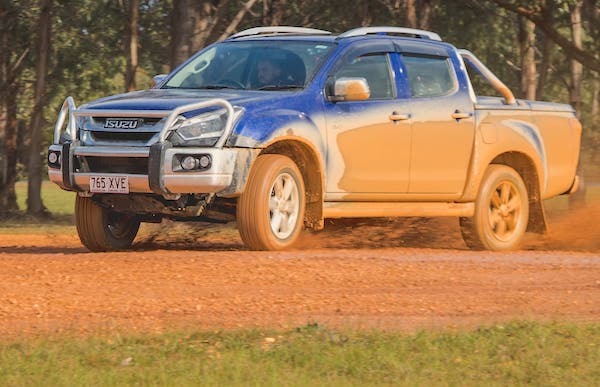 First incursion in the monthly Australian Top 5 for the Isuzu D-Max. Now updated with All-brands and All-models data. New vehicle sales take their steepest drop of the year in December at a ghastly -14.9% to just 87.528 registrations, the lowest December result since 2008. It leads to an annual score down 3%, which we will cover in a separate update. All Australian states and territories are down this month, with only South Australia (-1.6%), Western Australia (-7.6%) and Queensland (-9.2%) managing to stay in the single-digits while Tasmania (-20.6%), New South Wales (-19.7%), Victoria (-17.9%), Northern Territory (-11.7%) and ACT (-10%) all hit hard. Passenger cars implode down 26.3% to 27.037 sales and 30.9% share vs. 35.7% a year ago while SUVs, the current engine of growth in the Australian market, are also in negative for the month at -7% to 37.644 units and 43% share vs. 39.4% a year ago and light commercials drop 12.5% to 19.393 and 22.2% vs. 21.6%. 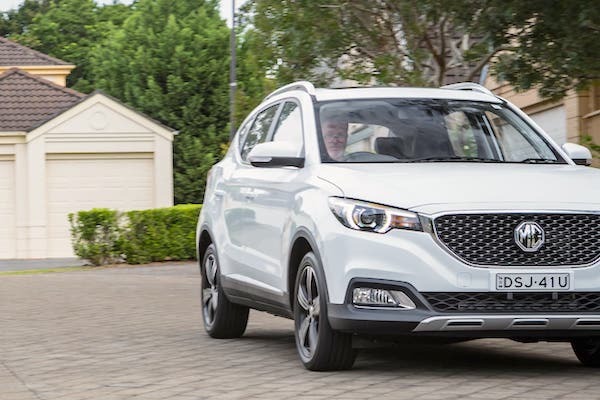 MG sales are up 457.4% year-on-year in December. Brand leaders Toyota (-6.4%) and Mazda (-10.7%) manage to lose less ground than the market even though their shares are inferior to their respective YTD level, while Mitsubishi (-19%) dives but climbs to #3, outselling Hyundai (-6.7%) and Ford (-7.2%). Holden (-60.4%) pays the price of a December 2017 score artificially boosted with fleet and demo sales with a catastrophic drop this year. In fact, illustrating its stellar shape throughout the year, Kia (+5.2%) is the only Top 10 manufacturer to record a year-on-year uptick this month, with Nissan (-1%) resisting well but Volkswagen (-16.5%) and Honda (-16.9%) imploding. Further down the ranking, Jaguar (+155.6%), Ram (+133.9%), Aston Martin (+107.7%), Rolls Royce (+42.9%), Lamborghini (+33.3%), Volvo (+29.5%), Lexus (+29.2%), Infiniti (+21.6%), BMW (+15.6%) and Isuzu (+10.5%) excels alongside some very dynamic Chinese: MG (+457.4%), Great Wall (+129.4%), LDV (+45.3%) and Haval (+37.2%). Reversely, Citroen (-78.2%), Peugeot (-55.5%), Land Rover (-43.3%), Ferrari (-40.6%), Jeep (-39.4%), Fiat (-32.1%), Maserati (-26.5%), Audi (-22%) and Suzuki (-21.4%) all implode. The Australian models ranking traditionally gets a good shake in December as some manufacturers overuse tactical sales in order to meet annual targets: the Toyota Camry flew up to #1 in 2016 and the Holden Astra to #2 in 2017. This year is a lot quieter, with the Toyota Hilux (-2%) signing its 14th consecutive monthly win ahead of the Ford Ranger (-3%), Toyota Corolla (-12%) and Mazda3 (-19%). The odd one out is the Isuzu D-Max (+6%) slicing its record ranking in two at a fantastic 5th place, its previous best and only other time in the Top 10 being #10 in December 2016. The Mitsubishi Triton (-24%) makes it four pickups in the Top 6 while the Mazda CX-5 (-6%) holds onto the title of #1 SUV in Australia ahead of the Toyota RAV4 (-5%), Nissan X-Trail (-4%) and Subaru Forester (+82%). 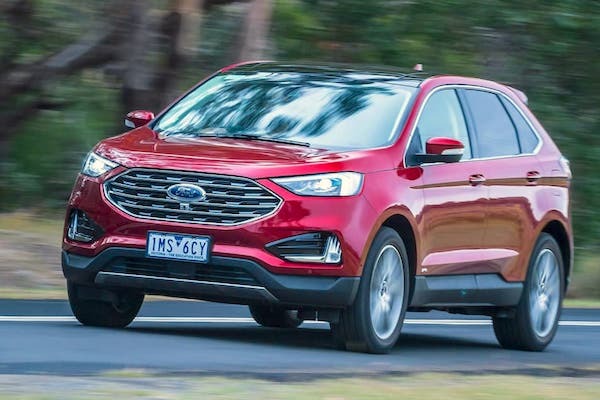 The Mitsubishi Eclipse Cross (+566%), VW Tiguan (+71%), Mitsubishi Lancer (+49%), Ford Everest (+29%), VW Amarok (+23%), Isuzu MU-X (+20%), Kia Sportage (+17%) and Honda CR-V (+16%) also shine in the Top 50 whereas the Holden Commodore (-83%) falls to #60. The Holden Acadia (#67) is up 43 spots on November to become the best-selling recent launch in the country (<12 months) but that doesn’t make it a success, and the same can be said for the Mercedes X-Class (#70) up 45 ranks on last month. The Mazda CX-8 (#90) and Volvo XC40 (#93) are the only other new nameplates to find their way into the December Top 100 as the Lexus UX climbs 37 spots to #119. We welcome no less than 4 new models in Australia in December: the Ford Endura (aka Edge) at #124, the Genesis G70 at #238, Citroen C3 Aircross at #254 and Rolls Royce Cullinan at #258. Full December 2018 Top 47 All-brands and Top 290 All-models below. Australia: Is the end of local car manufacturing near?